Andrew Benintendi (pictured) had three hits and drove in four runs as the Red Sox beat the Blue Jays Monday afternoon at Fenway Park. David Price was the beneficiary of an 11-hit Boston attack, going five innings to improve his record to 5-4. He was charged with two runs on four hits and four walks while striking out an equal number of batters. J.D. Martinez's RBI ground out in the bottom of the first put the Sox up 1-0, a lead that would hold until Toronto tied the game in the top of the fourth. In the Boston half of the inning, Brock Holt drove in a run with a sacrifice fly and Jackie Bradley Jr. doubled home another run. 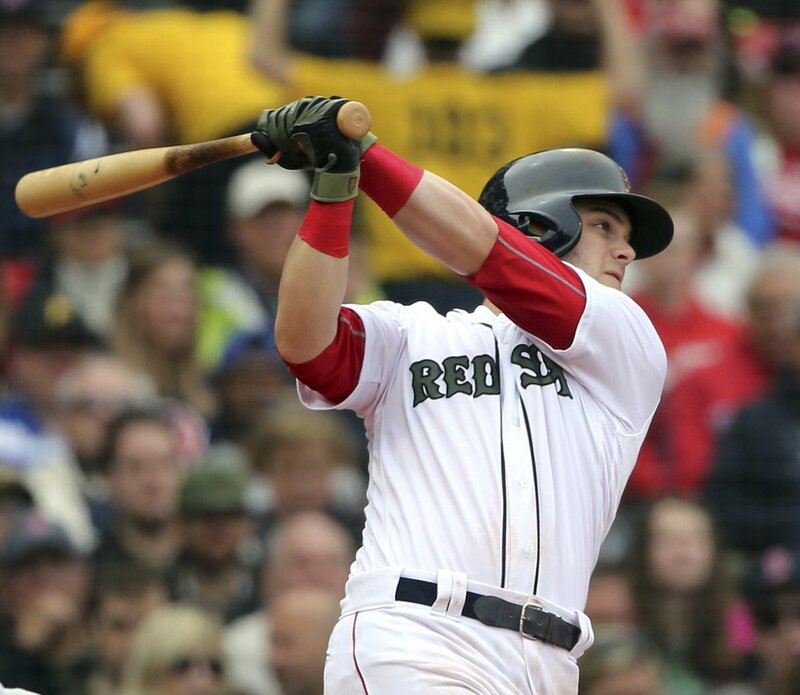 Benintendi's seventh home run of the year upped the lead to 6-1. Martinez hit a solo home run in the fifth and Benintendi tripled in the sixth to plate the final Boston run of the afternoon.